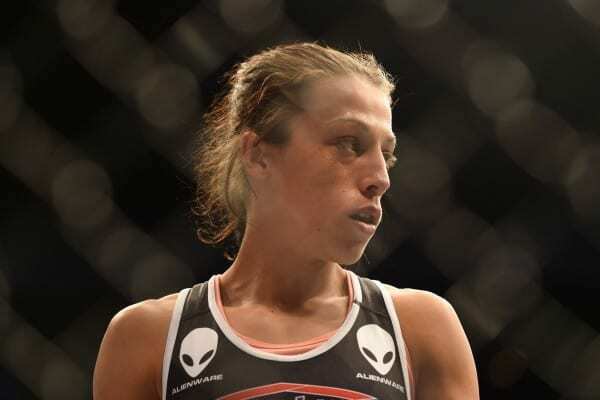 UFC strawweight champion Joanna Jedrzejczyk (9-0) will defend her 115-pound strap against Jessica Penne (12-2) at UFC Fight Night 69 in Germany this Saturday (June 20, 2015). This will be Jedrzejczyk’s first title defense in her reign as the new strawweight queen. Jedrzejczyk battered former 115-pound champion Carla Esparza at UFC 185 back in March to win the title. Penne’s split decision win over Randa Markos in Dec. 2014 was enough to push her to a title opportunity. The co-main event of UFC Fight Night 69 will see Dennis Siver (22-10, 1 NC) battle former Strikeforce lightweight title contender, Tatsuya Kawajiri (33-8-2). The event will be streamed live on Fight Pass at 3 p.m. ET.